How to embarrass your kids; take a silly photo. 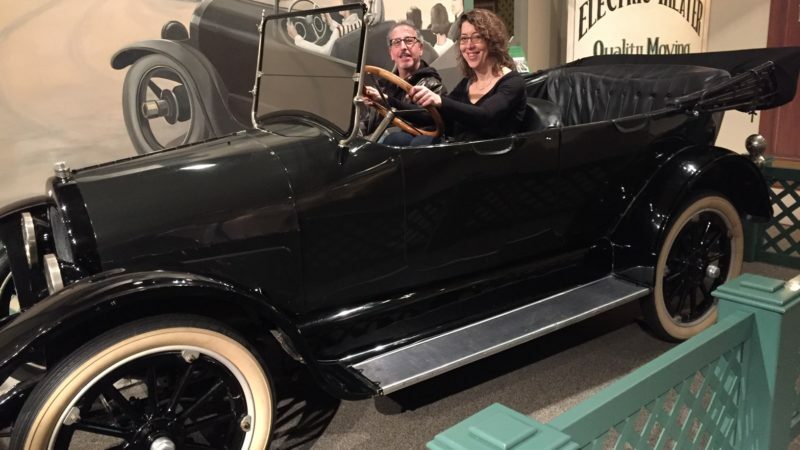 At the Henry Ford Museum. Detroit as a vacation destination may seem like comic fodder, but the city is enjoying a renaissance that suits family travelers. 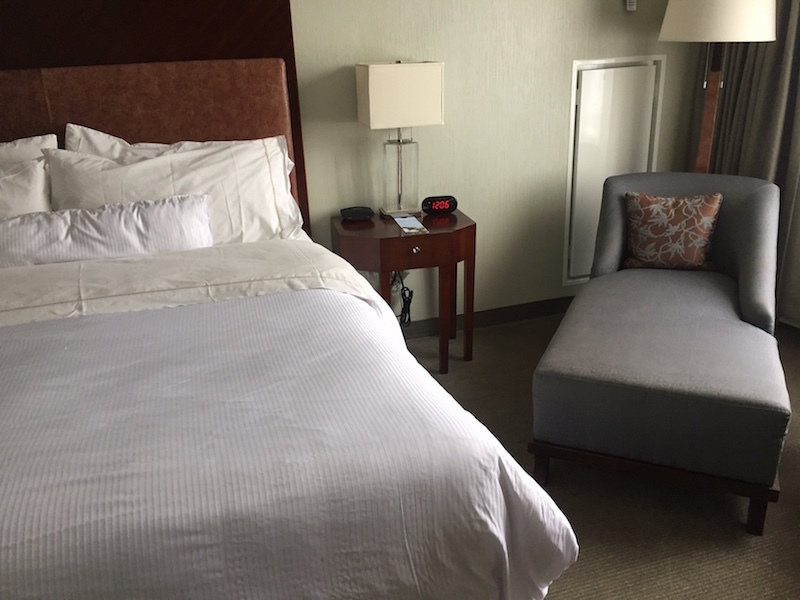 To court the family market, a hotel needs luxury family friendly accommodations. The Westin Book Cadillac Hotel Detroit fits the bill, with an ideal downtown location and amenities that make every guest feel the love. On our way to see my in-laws in Cincinnati, my husband, daughter and I picked up a Jeep in Detroit for the drive. 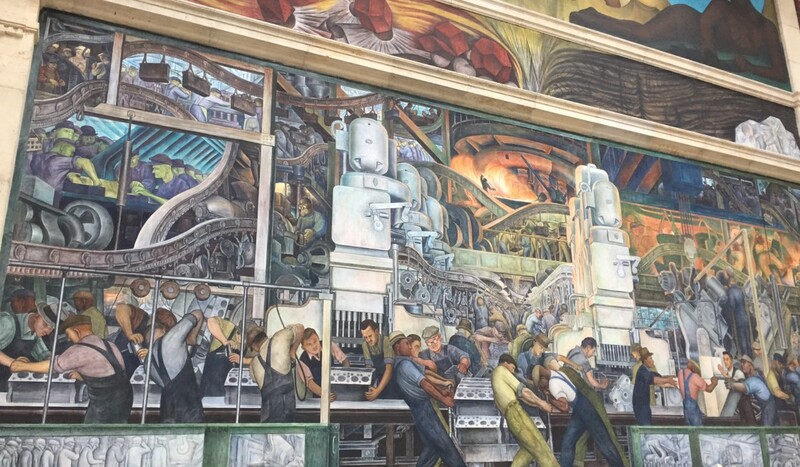 Since we had to return the car to Detroit, we decided to spend a couple of days exploring the old and new in Detroit. I was a little worried about driving a Chrysler to a Cadillac hotel. But it turns out the Book Cadillac is not named for the General Motors luxury car line. It was actually named for Antoine De La Mothe Cadillac, the founder of Detroit. The hotel, built in 1924, was the tallest hotel in the world in its time, and after years of decline, was renovated and restored to its former glory by Westin. This means the hotel now features a spectacular Italian Renaissance facade and thoroughly modern interior. It also has those heavenly Westin beds (they truly are spectacular) and a fitness program that loans you workout clothes for $5. Sure, lots of hotels have indoor pools. But this one is gorgeous and inviting, with lounge chairs, thick towels and a hot tub. There’s plenty of room to splash around, the air and water temperature are ideal and the pool opens at a family friendly 6am, so if your little ones wake up early, they can get their ya-yas out. Connecting rooms are necessary for the sanity of the family and the set-up here is great. There’s a master door, with two separate rooms off it and if you need connecting rooms, you can use just that door, and have two full rooms. We were just in one room, but couldn’t hear our neighbors, so if you have to retire early to get the kids to sleep, you can have your own space. Detroit has a surfeit of great places to eat: we went to a hip vegetarian restaurant near the museums, a great coffee shop with inventive food and a shared plates restaurant run by a James Beard nominee. The chef was formerly at one of the Book Cadillac’s restaurants, Roast, and we would have tried it, but it was too meat heavy for us vegetarians. But there is also 24 Grille, with lots of local products, a coffee shop with sandwiches and a sit down restaurant with full breakfast and lunch. In a historic area of the hotel, you can see that the hotel used to offer children’s menus at its restaurant with special menus for kids at different ages, which makes a lot of sense; a 2-year-old has different needs than a 9-year-old. 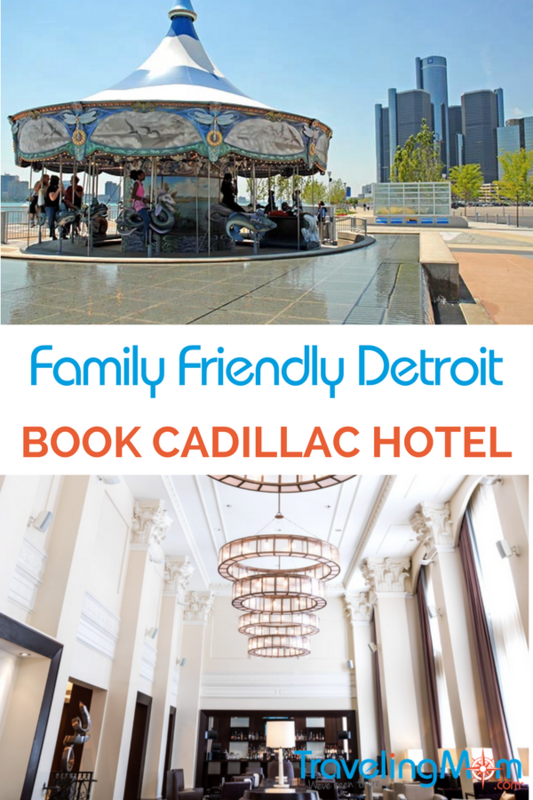 The Book Cadillac is just a few blocks from the waterfront, where there is a carousel and fountains in warm weather. For winter pursuits, the Campus Martius park has outdoor ice skating. And the People Mover and Q line streetcar are both close, perfect for kids who love to explore alternative means of transportation. The streetcar begins operating this spring, and you can ride it to the museum district, home to the Michigan Science Center, Detroit Institute of the Arts, and Charles H. Wright Museum of African American History. The elevated People Mover circles downtown and costs just 75 cents a ride. 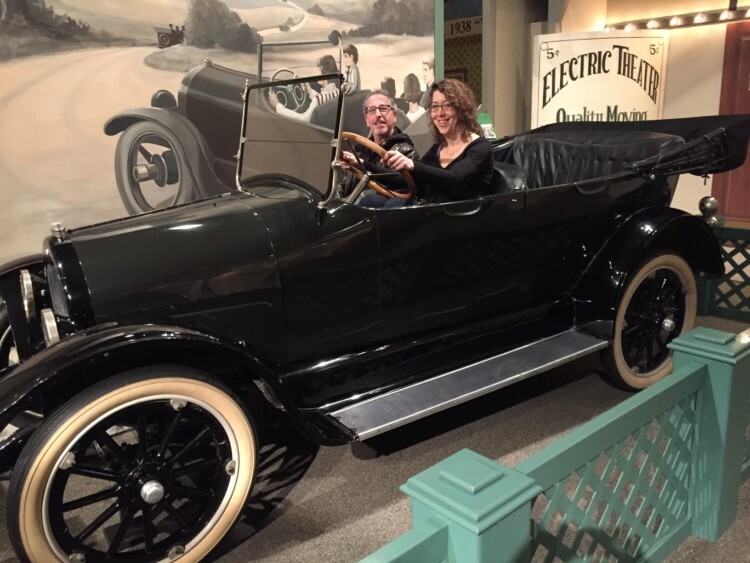 On our way to the airport, we stopped for a few hours at the Henry Ford Museum of American Innovation. You could spend a day or three here, particularly when the historic Greenfield village opens for the season. There is also a Ford Rouge factory tour. Do you change your sheets and towels every night at home? You can make a green choice and get $5 off food each night you decline housekeeping (not the night you leave, obviously). So you can teach your kids a little eco-responsibility. They can hang a towel, make the bed – and get money towards food. You can also use the incentive to get more Starwood points. 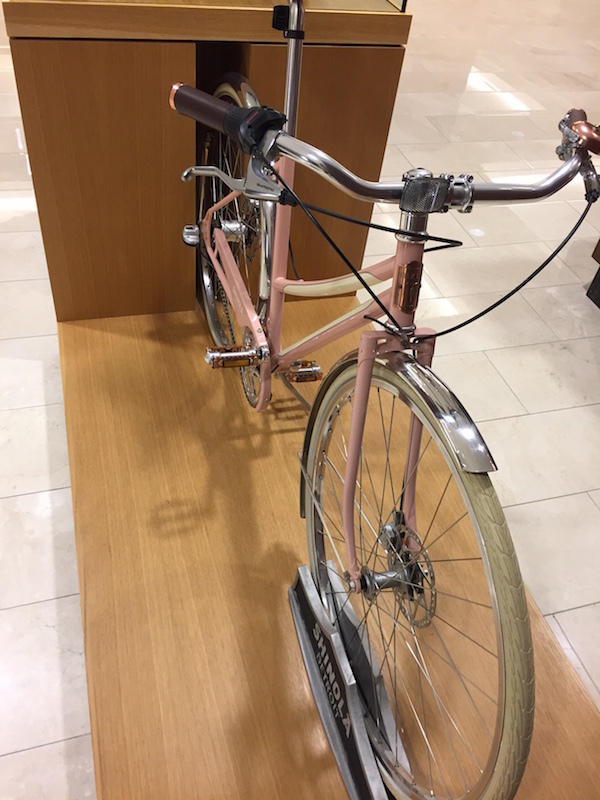 And if you are inclined to give up your car and switch to a bike, there’s a shiny new Shinola bicycle displayed in the lobby. The Shinola factory is also near the midtown museum district. Ride the streetcar and drool over these bespoke, Detroit-made bicycles. Needing to use a key card to access your floor can confuse adults. We saw several in the elevator stabbing at numbers with no success. I understand why a city hotel uses this, but it can be even harder for kids. Note: I was the guest of Visit Detroit, which paid for my hotel. Chrysler loaned me the Jeep.